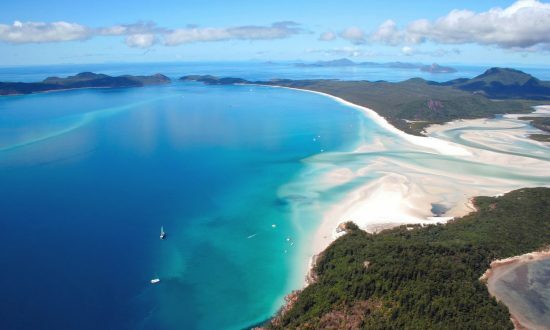 Although located in the tropics, the Whitsundays have an excellent climate because they are cooled by trade winds for most of the year. The waters are protected by the Coral Sea and Great Barrier Reef, and most islands are surrounded by a fringing reef system. 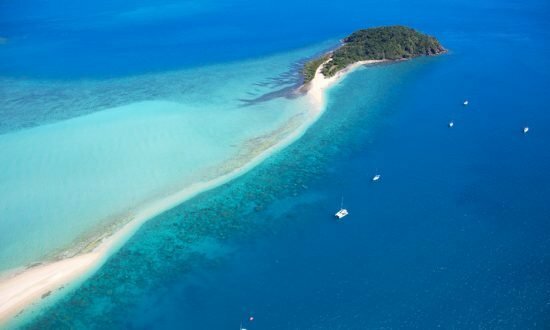 The Whitsunday Islands have enough anchorages to keep you busy for months of happy cruising. Nara Inlet is our recommended first night stop. Nara is easy to reach and its waters are sheltered so you will have a comfortable first night as you get used to the boat. There are several anchorages and moorings to choose from. Stonehaven is popular, and if you are adventure minded, there are waterfalls to explore. Langford Island is a long, mostly sandy strip that nearly disappears at high tide. Langford is a fun daytime stop for relaxing on the beach and for snorkeling on the western end. 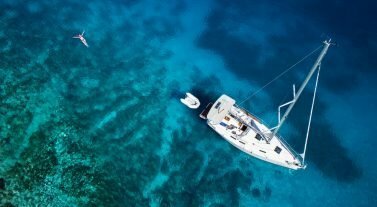 There are extensive reefs, however, and navigating through them is best in good light with a lookout on the bow of the boat. Hamilton is a great mid-charter stopover to fill water tanks, fuel up and shop. The island’s Marina Village has restaurants, bars, specialty shops, a bakery and a supermarket to take care of any needs, food or otherwise. You can rent a golf cart and explore the island, or take advantage of an opportunity to stretch your legs on enjoyable walks around the island. Walking and driving not your thing? Perhaps booking a scenic flight to get a birds eye view of the reefs is in order? From June to September whales come up to the Whitsundays to give berth. You will see many whales and their calves, a great wildlife moment to witness. There are also lots of Turtles, Sea Eagles, Dolphins, and great fishing. If interested there is a Crocodile tour on the Proserpine River, 20 minutes away from our base. 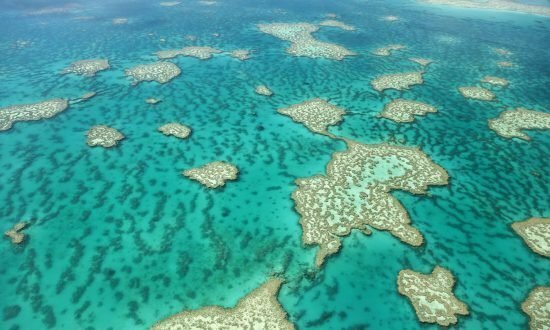 There are specific rules for Whitsundays regarding wildlife, download the Great Barrier Reef Marine Park Guide for more information (guide available in English). ATMs: Available at many locations. French consulate in Brisbane and Sydney. French Embassy in Canberra as well as for all other European countries and US. Spring/Summer: September to March, January to March being the wet season in our Tropics (risk of Cyclone and Heavy rain). April to August: Autumn and winter. Drier and temperature around 22 to 25 deg. International flights arrive to all capital cities in Australia. Fly to the Whitsundays (Whitsunday Coast/Proserpine airport) from Sydney, Melbourne and Brisbane. Brisbane flights are direct and take 1.5hrs. Airlines that service both airports are Jetstar, Tiger Airways, Qantas & Virgin Blue. If flying into Hamilton Island, the same airlines apply (except Tiger) and flights are usually direct from those capital cities mentioned above, including Cairns (only with Qantas). Transfers: Transfers may be organized to and from the Whitsunday Coast Airport with “Whitsunday 2 Everywhere” or “Airlie Limos”. Transfer time is approximately 45 minutes. We broadcast the latest weather at 9.00am and 3.45pm daily. Contact with our vessels is made twice daily, which is a local regulation. Severe weather/cyclone broadcasts are carried out to guests as needed. 6 showers, 8 toilets and laundry facilities are available every day from 24/24. Collect key from our office. Restaurants, Small bottle shop & small takeaway shop, and Dive gear hire. Airlie Beach CBD is a 10 minute scenic walk along the waterfront (many activities, restaurants, shops). Whitsunday Provisioning can take care of all your provisioning. Complete the provisioning list available on www.whitprov.com.au and everything will be on board upon your arrival. This is highly recommended for any charters commencing from Hamilton Island as shopping for groceries is expensive and limited on the island. Alternatively there are a couple of supermarkets close to the marina. Opening hours: Monday – Friday 8:00 am to 9:00 pm and Saturday 8.00am – 5.30pm and Sunday 8:00am – 6pm. When calling our Australian base you will need to dial + 61 (country code) and then the area code (7) 49467400 e.g 0061 7 4946 7400. Internet: Many internet Café’s are available in Airlie Beach and on some islands. All clients are briefed starting at 9am on the day of their charter. Arrival after 11am will result in the client having to stay the first night in the marina at their own cost. Clients should be anchored for the evening by 4pm. Clients need to check in twice daily with base at the allocated times of 9.00am & 3.45pm. No formal licenses are required, although experience is necessary. The only vessel that requires an official license is the Fountaine Pajot Cumberland 46 Power Cat. Soft bags are essential as storage facilities for excess luggage is limited in the vessel and at the base. 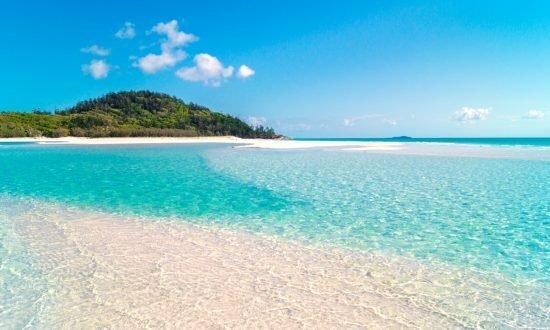 There are a couple of Island Resorts to visit in the Whitsundays. Each has a charge for mooring/berthing overnight or during the day. All have restaurants, pools and activities. Airlie Beach & Hamilton Island, are the only places to stock up on fresh water, fuel, provisions, ice and to off load rubbish.